Losing any of your data is really heartbreaking. Imagine losing data of several years. You should always backup your stuffs. In 2019 take an initiative to back up all of your data. Also help your friends and family members to back up their data. You can always back up your data on the cloud or on a hard disk. This is the best and the easiest way to back up your stuff. You can send all your data to the cloud. Anyone who has an Android phone already has a Google account. If you have a Google account you may already have a Google Drive account. In Google drive you get 15GB of Storage space. Google usually makes our life very simple. If you are Google Docs and Google sheets you will find out that your data is already saved to Google Drive. For those of you who don't want to use Google Drive there are plenty of other apps. You can use Dropbox which is very fast and easy to use. If you have a lot of stuff that needs to be backed up eg movies, music videos, documents then you can use Backblaze. It's one of the best options for large data backup. It's also very cheap. If you really don't want to use the cloud you can get a couple of hard drives. A 2TB hard disk is enough. 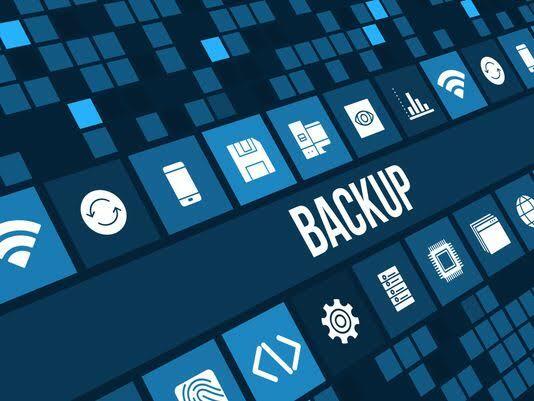 A software called Synology helps in automatic back up of data on your computer. It does the back ups regularly and your files will be available on the cloud. If you aren't near your computer you can also access the data through different devices. Everyone loves their music and photos. No one wants to lose this data. You can always back up your movies, music and music in the above solutions but the cloud is the best option. Spotify and Google Photos can do this job. People love spotify because it doesn't limit the number of devices that can use the same account. You can download songs, albums or even playlists and listen to them when offline. Spotify has a large collection of music. You can listen to any song from Spotify. If you have an Android phone then already you have a Google photos account. It is preloaded on every Android phone. Google Photos uploads high quality pics to the drive. This app will sort your pics by the location and person. It will also optimize your photos making them look better. If you want extra storage you can pay for it. An extra storage doesn't hurt. If you have more storage you can always save more and it's not expensive. We all need a good password manager. There are so many online services that require you to have a password. You will need to remember your login information thus it is really important to have a good password manager. You can use 1password manager. There is also Enpass, Dashlane and LastPass. They are the best at managing your passwords. Backing up passwords is the best thing that you will ever do for yourself. It gives you mental peace. Some of these apps also offer cloud back up solutions. 1password does this really well. It will give you security and cloud storage. It's quite safe to use and simple. Most people who have an Android device most probably have a third party launcher. Some of these launchers such as Nova have a really great remote backup solutions that allows you to restore any and all settings. As you can see you really need Google Drive or Dropbox. This apps are very convenient and of importance. This year take the right step and back up all your data. If you have backed up your data you won't be really worried if you lost your data. You will be able to recover them.